I love it. It’s not perfect. First, what I love. As this is a JPEG, the colours are not entirely reliable. But the physical object will be stunning: uncoated, textured coverstock with the main title in gleaming gold. Drop-dead gorgeous. 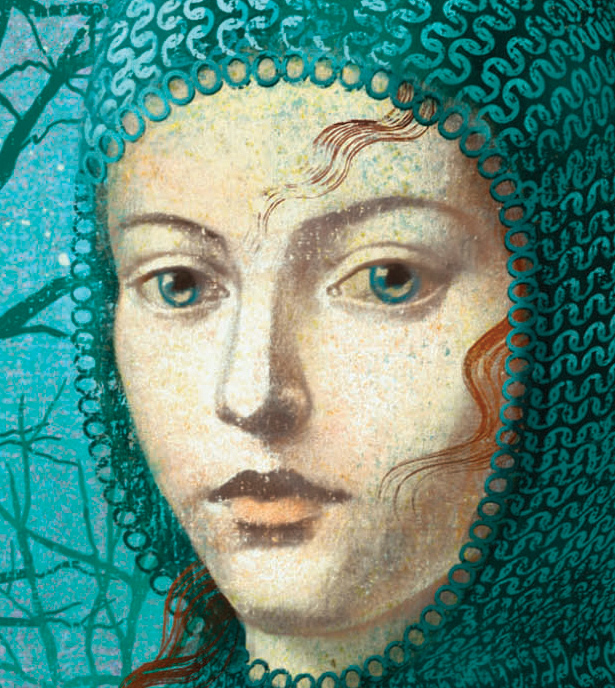 The artists, twin Italian sisters called Anna and Elena Balbusso, have done some award-winning covers for classics by writers such as Pushkin and Atwood. I love the way Hild looks directly at her audience, utterly self-contained. I particularly admire the Botticelli-like face, and her hair, which is the exact shade of chestnut I’d imagined. The artists have captured the face of a girl-woman with a thousand-yard stare, who has faced death and made terrible decisions since the age of eight, who looks out with the clarity of one who knows life is an undiscovered country full of joy and patterns to be understood. 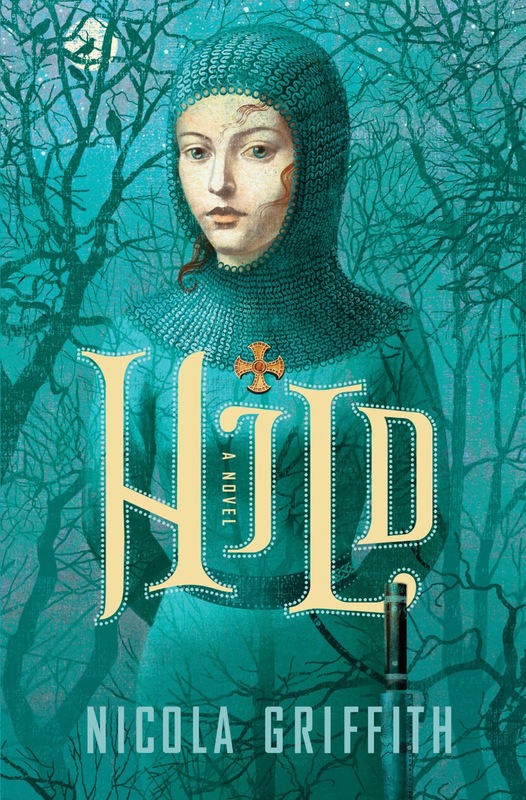 Hild is born in difficult circumstances and survives because she has an extraordinary mind and a will of adamant. She lives at the very edges of the constraints of her time—but is still constrained. Ha ha ha not going to lie the horizontal seax thing totally occurred to me. Jennifer, yep, sometimes you just have to go with the overall intent and not get hung up on the details. I like the cross dotting the i. Is it intended to be similar to the one found in an Anglo-Saxon grave earlier this year. I think it was attached to her clothing, sewed on almost like a button. I wondered about the chain mail, but I love the cover, it is so beautiful, and should grab a lot of attention from bookstore shelves. Anon, yes, it's very like the cross found with the young woman in Trumpington Meadows. Kate, that's my sincere hope! I too like the Anglo Saxon looking cross. She does have a really beautiful face. Awesome date also 11.12.13 and close to her feast day. I thought of the Trumpington cross too. I have awarded you a Liebster Blog Award, by the way.